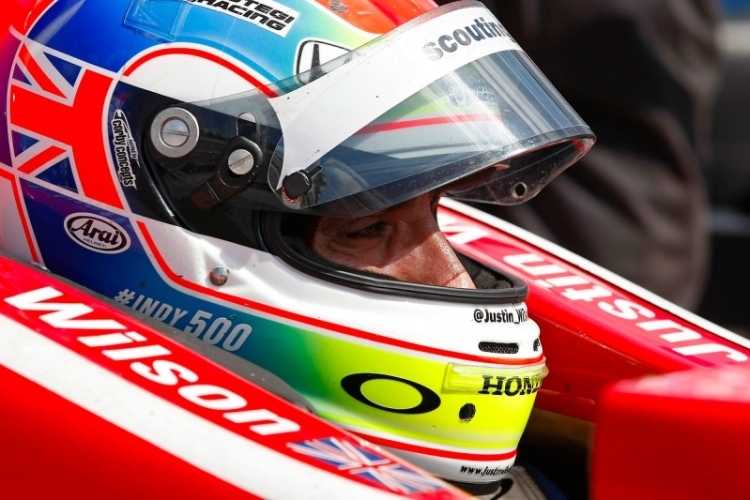 Newton, Iowa (10 July 2014) – After a fast but frustrating outing last weekend on Pocono Raceway’s Tricky Triangle, Justin Wilson will be back in Verizon IndyCar Series action this Saturday night as he is set to pilot the No. 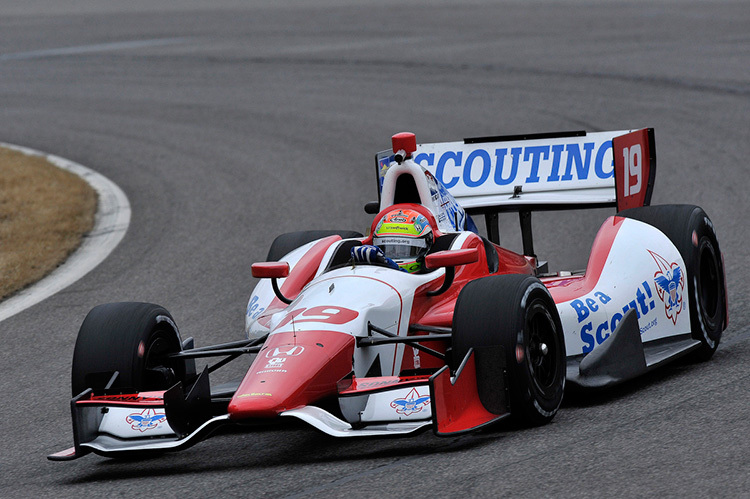 19 Boy Scouts of America Dale Coyne Racing Honda/Dallara in the Iowa Corn 250. Long Pond, Pa. (6 July 2014) – On a record setting day of Verizon IndyCar Series oval action, Justin Wilson persevered to bring the No. 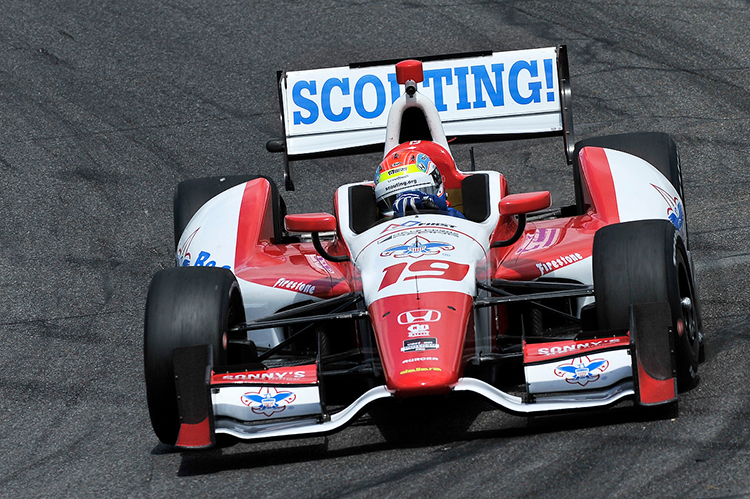 19 Boy Scouts of America Dale Coyne Racing Honda/Dallara home in 14th place in the Pocono 500 on Sunday. 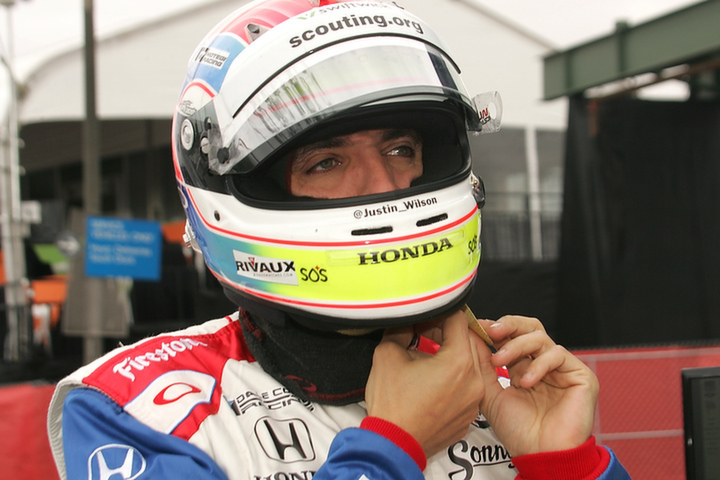 Houston, Texas (29 June 2014) – Justin Wilson was looking to convert a stout sixth place grid spot for the second round of Grand Prix of Houston action with the No. 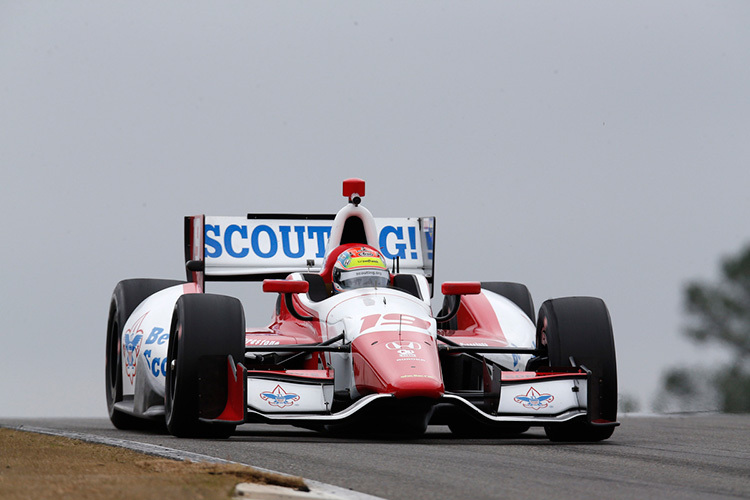 19 Boy Scouts of America Honda/Dallara for Dale Coyne Racing, but a promising race outing was flustered by contact while Wilson was running well. Houston, Texas (28 June 2014) – After starting the race from seventh on the grid for Saturday’s Houston Grand Prix, Justin Wilson managed to drive through widely variable weather conditions and avoid any issues in a wild race, moving to prime position as he led the race with just minutes to go. 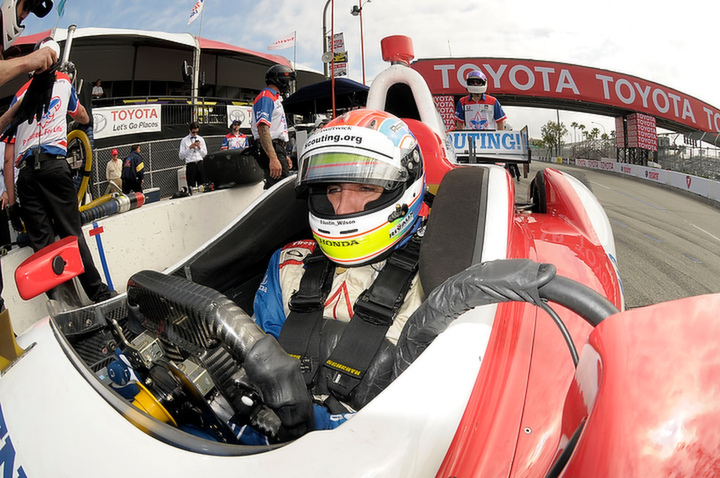 Houston, TX (28 June 2014) – Dale Coyne Racing driver Justin Wilson will start the first race of the Houston Grand Prix double header from seventh on the grid with the No. 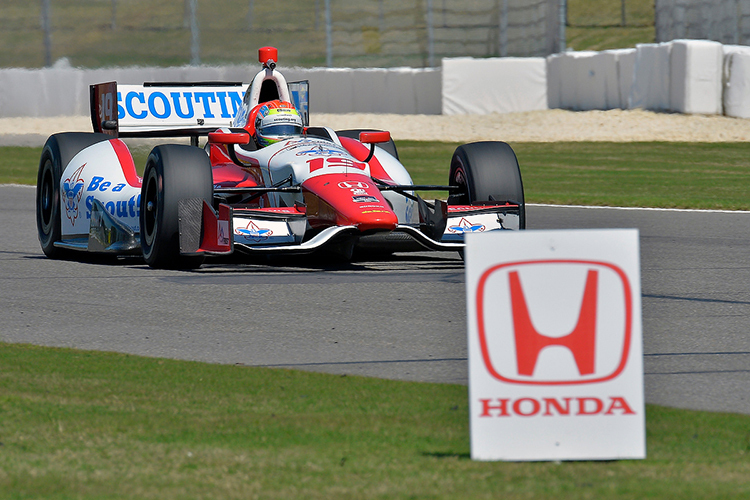 19 Boy Scouts of America Honda/Dallara on Saturday (NBCSN, 3:00 PM ET live broadcast). Wilson bounced back from a frustrating Friday to move into the second round of qualifying, and only came up a few hundreths of a second short of moving to the final Fast Six qualifying session. 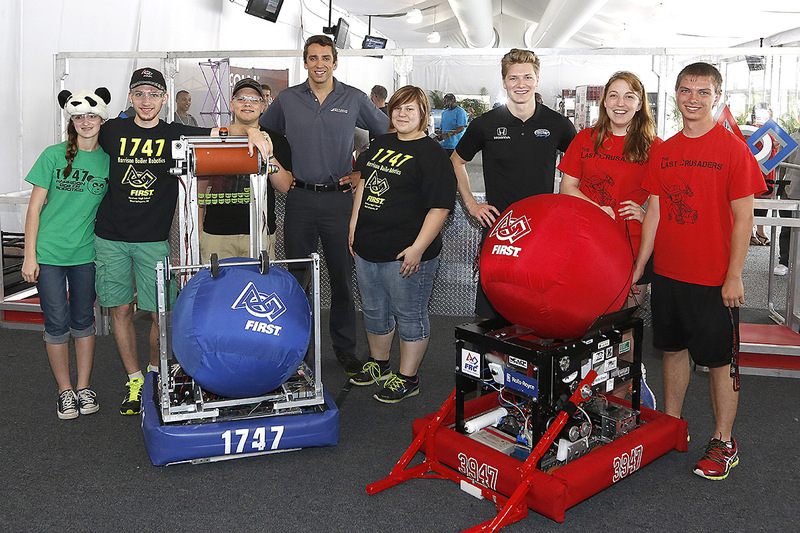 In celebration of the current soccer action in Brazil, there will be a “World Cup for Bots” at the Shell and Pennzoil Grand Prix of Houston Saturday, June 28th. FORT WORTH, Texas (8 June 2014) – Looking for a return to victory lane at Texas Motor Speedway, Justin Wilson’s Firestone 600 came to an early and frustrating end on Saturday night after his NO. 19 Boy Scouts of America Honda/Dallara was forced into a spin midway through the race, making contact with the wall. FORT WORTH, Texas (31 May 2014) – Adapting quickly to yet another dramatic scene change for the Verizon IndyCar Series, Justin Wilson was back in action on Friday at Texas Motor Speedway for practice and qualifying ahead of Saturday night’s 248-lap shootout under the lights (broadcast: NBCSN, 8:00 PM ET). 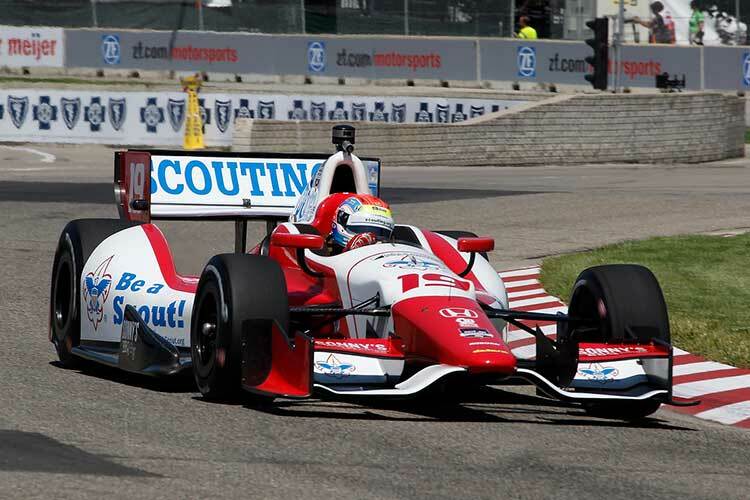 Detroit, Mich. (1 June 2014) – After racing from 19th on the grid to finish fourth in the first race of the Detroit Grand Prix weekend on Saturday, Justin Wilson was looking to go one spot better on Sunday with a return to the Detroit podium in race two for Dale Coyne Racing. Detroit, Mi. 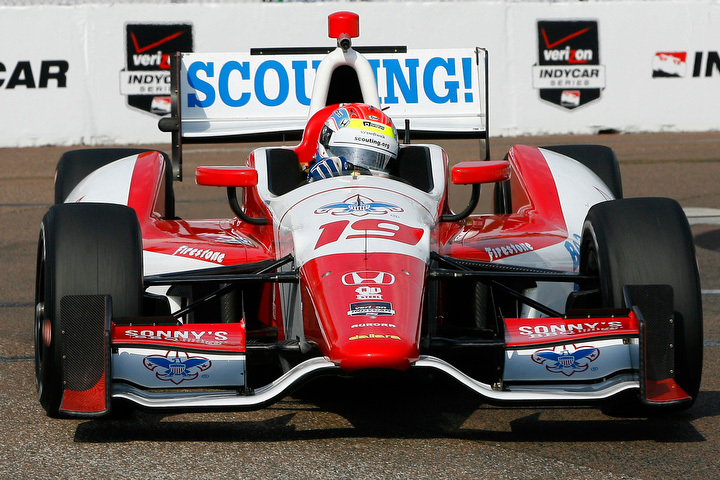 (31 May 2014) – Making his third Verizon IndyCar race start of the month, Justin Wilson used great strategy from his Dale Coyne Racing squad and outstanding fuel mileage from his Honda power plant to take a fourth place finish in race one of the double-header Detroit Grand Prix on Saturday. Detroit, MI. 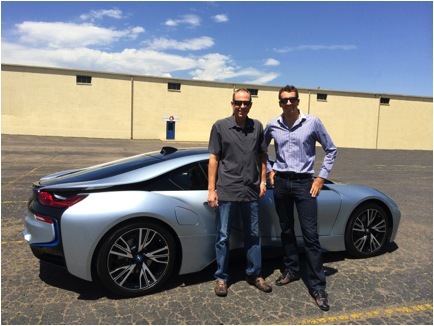 (29 May 2014) – Just days after finishing the Indianapolis 500, Justin Wilson now heads north to the Motor City to make his mark on the Duel in Detroit. Wilson showed strong pace in the 98th running of the “Greatest Spectacle in Racing,” running in the top ten with less than ten laps to go. But the month of effort came up short as Wilson had to accept a disappointing finish when damage from debris forced him to make an unscheduled pit stop in the closing laps of the race. INDIANAPOLIS (26 May 2014) – Year after year, the key to a big finish in the 200-lap Indianapolis 500 is to stay out of trouble early, improve the car through the first 100 laps, and be in a position to fight for the win as the race enters its final stages. 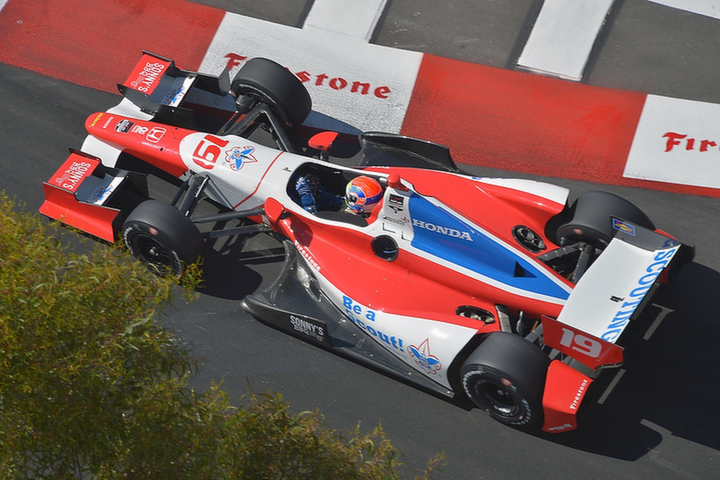 Dale Coyne Racing driver Justin Wilson had checked off all those boxes on Sunday, running eighth in the No. 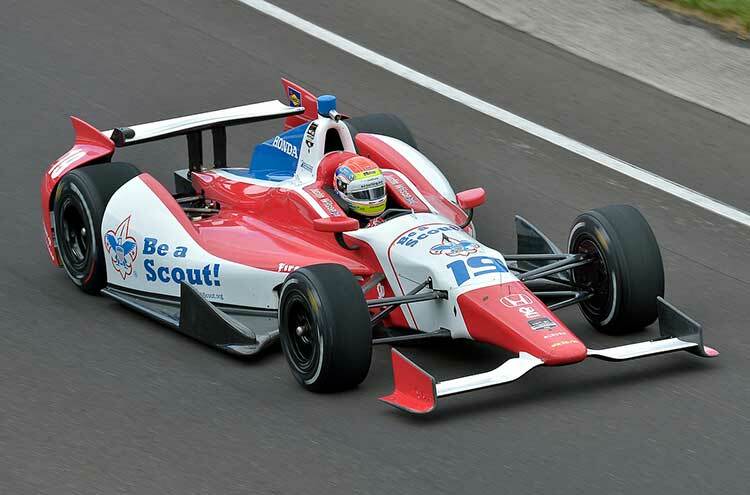 19 Boy Scouts of America Honda/Dallara with just ten laps to go in the 2014 Indianapolis 500. Indianapolis, IN- 17 May, 2014- Updated: After some small adjustments to his No. 19 Boy Scouts of America Honda/Dallara, and a short break following some rain, Wilson returned to the track for a second attempt. The effort saw some improved times as Wilson took the provisional 14th quickest time on a grid that is rapidly evolving. INDIANAPOLIS (10 May 2014) – Dale Coyne Racing driver Justin Wilson got the month of May at the Indianapolis Motor Speedway off to a promising start on Saturday, leading the Grand Prix of Indianapolis twice before brief contact with the eventual race winner compromised a possible podium as Wilson came home 11th at the checkered flag. Indianapolis, Ind. 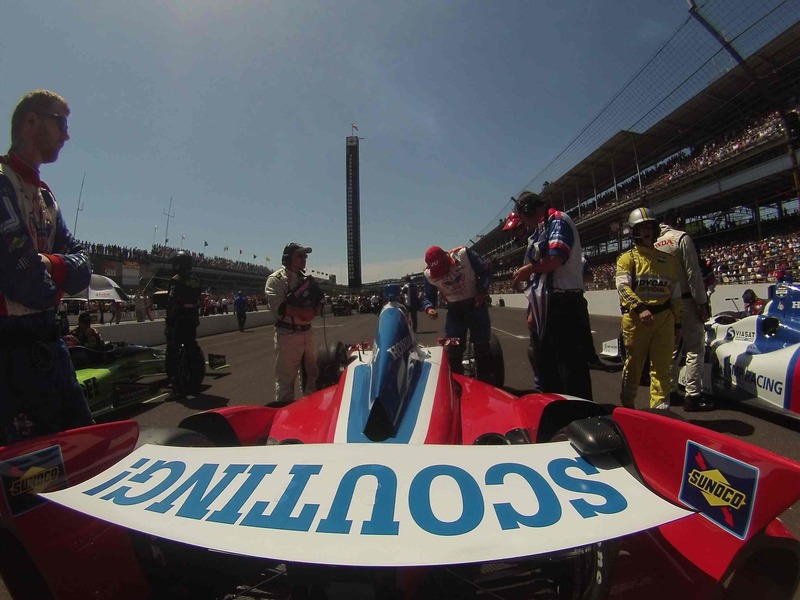 (6 May 2014) – The month of May has long played an iconic role in the landscape of the sport as winter thaws and the weeks leading up to the Indianapolis 500 add drama with each day. 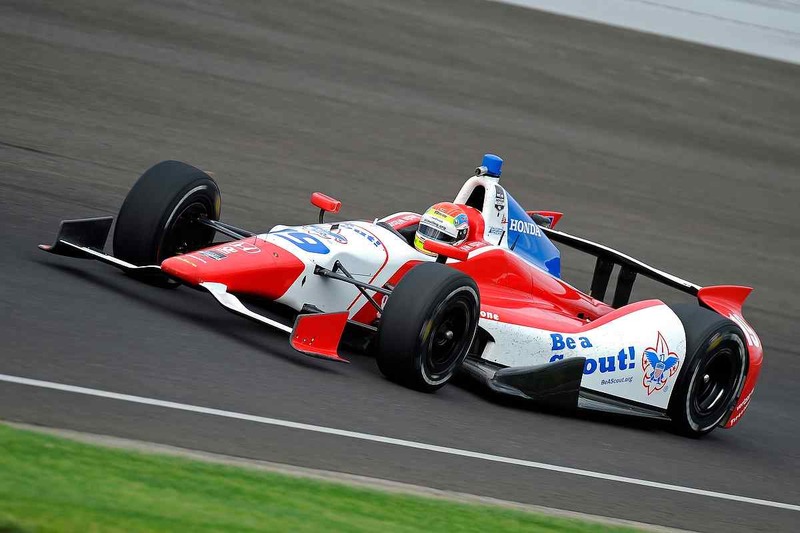 That excitement will start a little bit earlier this year, as the Indianapolis Motor Speedway stages the inaugural Grand Prix of Indianapolis this Saturday, May 11 on the new Indianapolis Motor Speedway (IMS) road course. 30 April 2014-Indianapolis, IN- Justin Wilson took to the Indianapolis Motor Speedway on Wednesday as the series staged an official test of the newly updated infield road course. 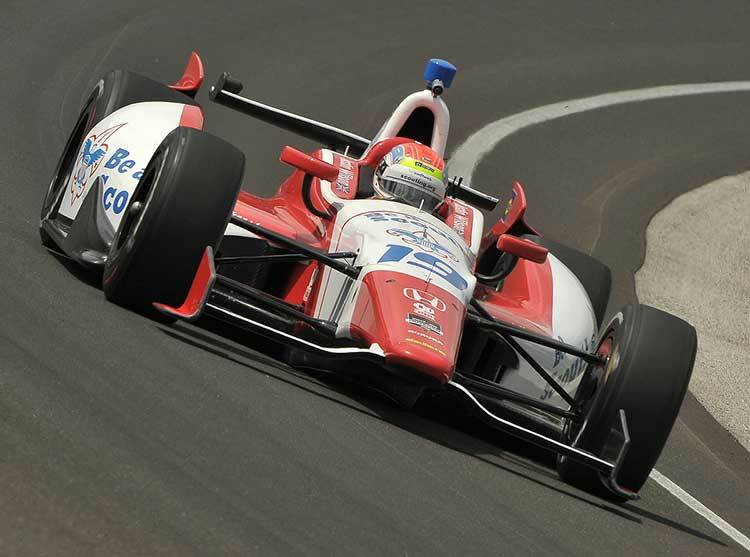 The track will host the inaugural Grand Prix of Indianapolis May 11 for round 4 of the 2014 Verizon IndyCar Champioship. The test marked the first time for Wilson to make clockwise laps at the facility since his 2003 Formula 1 appearance when he finished 8th for Jaguar Grand Prix. Birmingham, Ala. (27 April 2014) – In a day that saw a little bit of everything, Dale Coyne Racing driver Justin Wilson delivered a top-10 finish at Barber Motorsports Park in the Honda Indy Grand Prix of Alabama on Sunday with a sixth place finish after fighting through a tricky mix of wet and dry track conditions with the No. 19 Boy Scouts of America Honda. 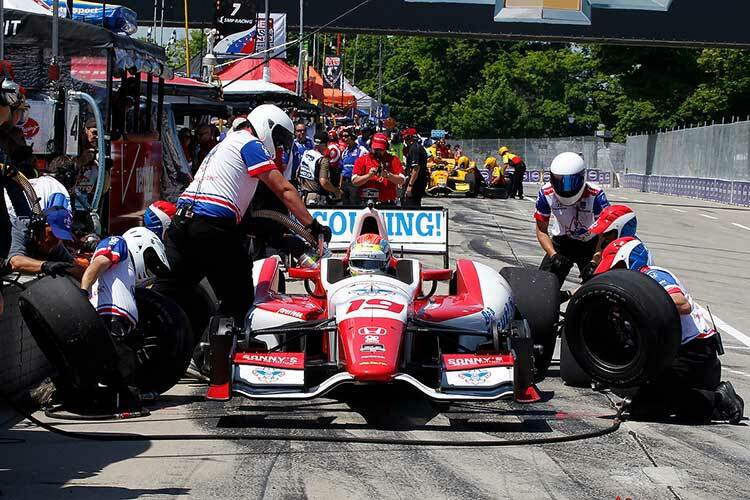 Wilson started deep in the pack before picking up 10 positions through the drama-filled event to take his best result of the 2014 Verizon IndyCar season to date. Birmingham, Ala. (21 April 2014) – After a promising race was cut short as he battled for the lead of the race in Long Beach, Justin Wilson is eager to return to Verizon IndyCar Series action this weekend at Barber Motorsports Park as the Dale Coyne Racing driver looks to rebound with a strong race result in the No. 19 Boy Scouts of America Honda. 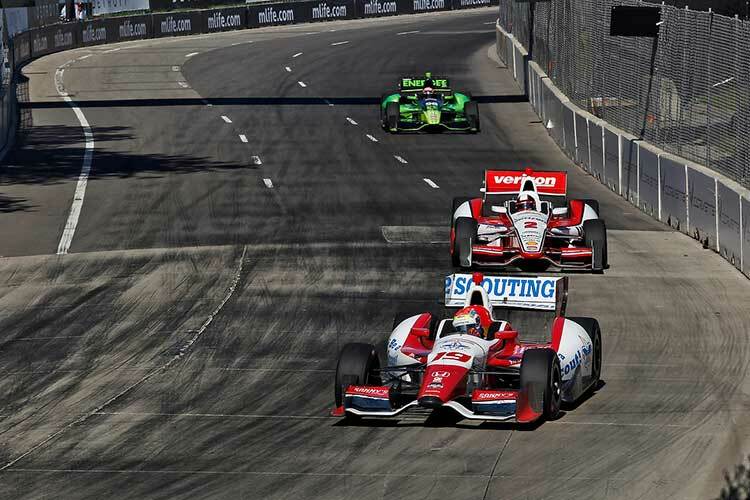 Long Beach, Calif. (13 April 2014) –After being crashed out of the race as he fought for the lead, Justin Wilson was left seething on Sunday following the Toyota Grand Prix at Long Beach in Round 2 of the Verizon IndyCar Series championship. Long Beach, Calif. (12 April 2014) – Justin Wilson could only shake his head after a small mistake cost him a shot at a big qualifying result on Saturday. 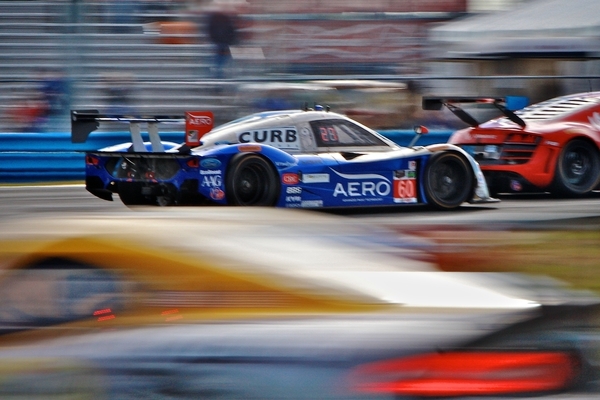 The Briton, who raced his way from deep in the pack to finish third in last year’s Toyota Grand Prix of Long Beach, will have to work his way up from the fifth row on Sunday after a quick brake lock-up kept him from setting the ultimate lap time in qualifying. 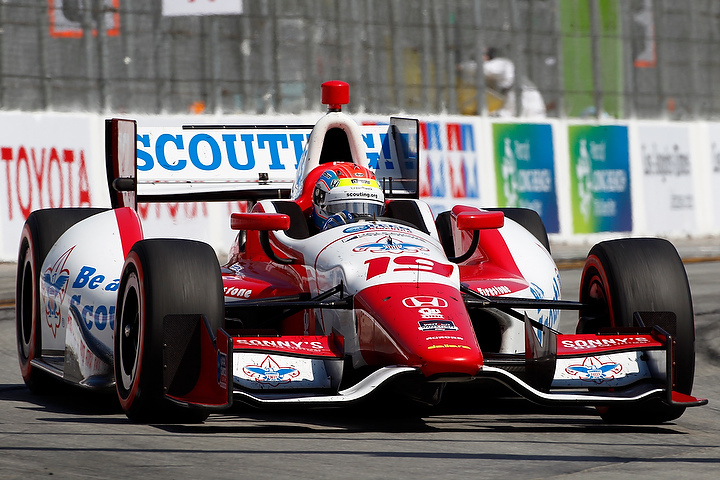 Long Beach, CA (8 April 2014) – Justin Wilson will be a driver to watch in Round 2 of the Verizon IndyCar Series this weekend at the Toyota Grand Prix of Long Beach. After a strong start to the season with a top-10 finish on the streets of St. Petersburg just a fortnight ago, he now looks to take the No. 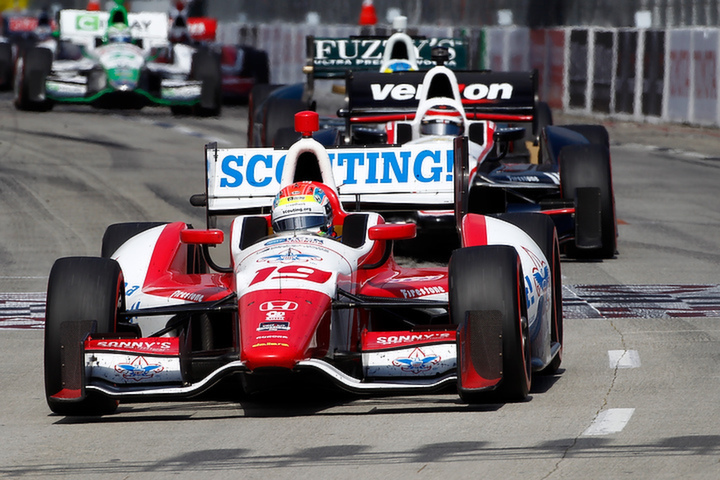 19 Boy Scouts of America Dale Coyne Racing Honda back to the podium for the second year in a row at Long Beach. 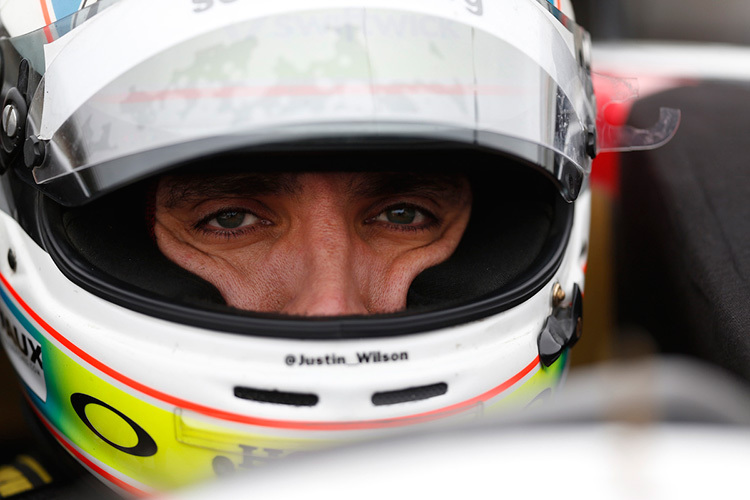 St. Petersburg, Fla. (29 March 2014) – Justin Wilson will open the 2014 Verizon IndyCar Series season tomorrow as the Firestone Grand Prix of St. Petersburg kicks off its 18-race championship. 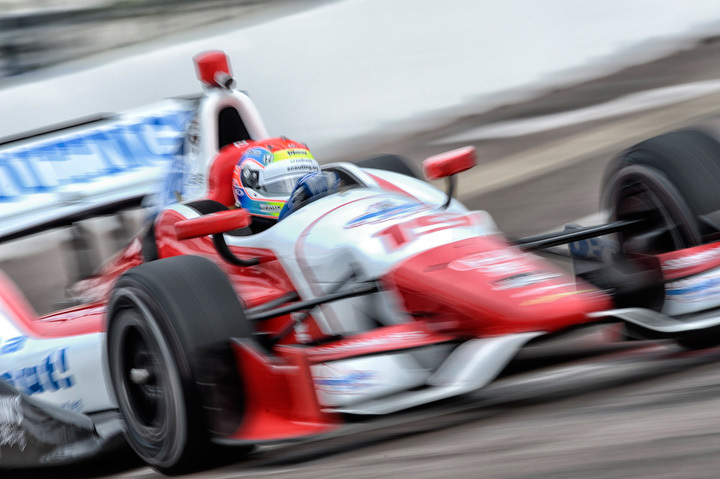 Teaming with Dale Coyne Racing for the fourth year, Wilson once again pilots the No. 19 Boy Scouts of America Honda. 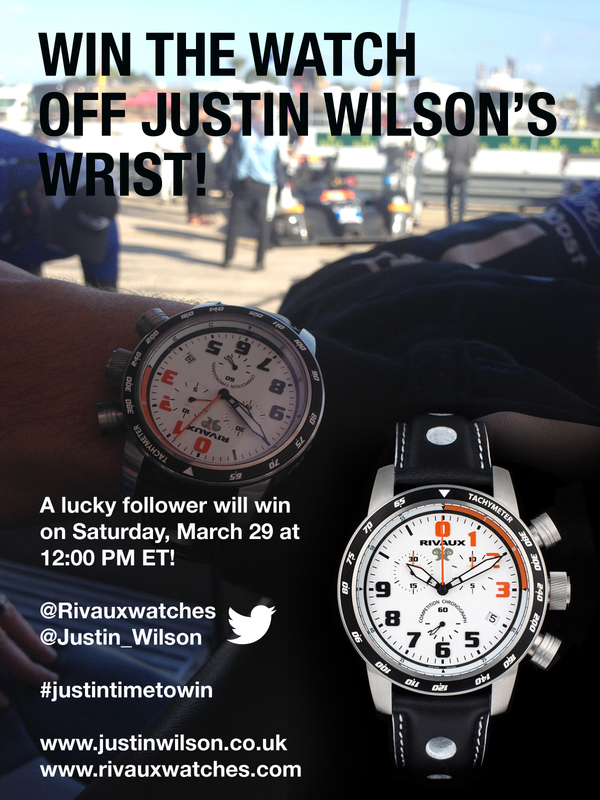 March 26, 2014 / Comments Off on Win Justin Wilson’s Watch! 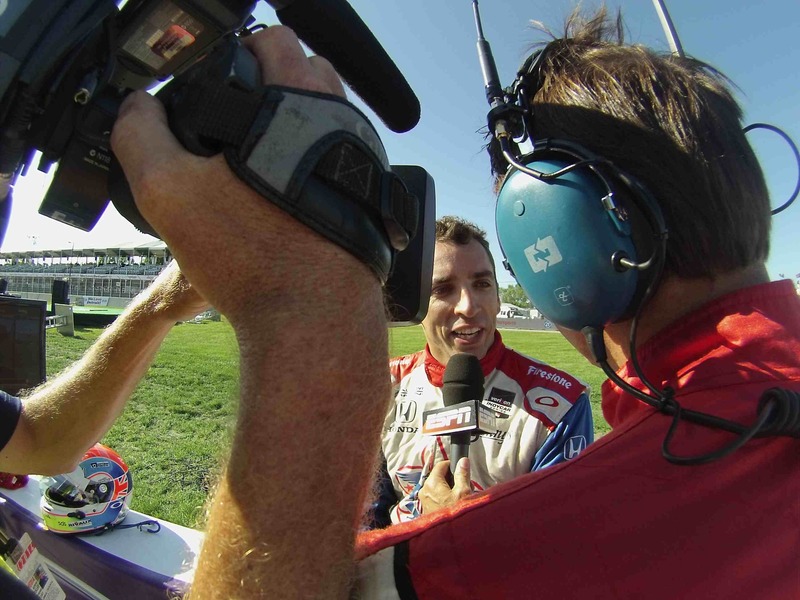 24 March 2014–As the 2014 Verizon IndyCar Series prepares to launch this weekend with the Firestone Grand Prix of St. Petersburg, Dale Coyne Racing driver Justin Wilson is giving his fans a little extra incentive to follow along this week. 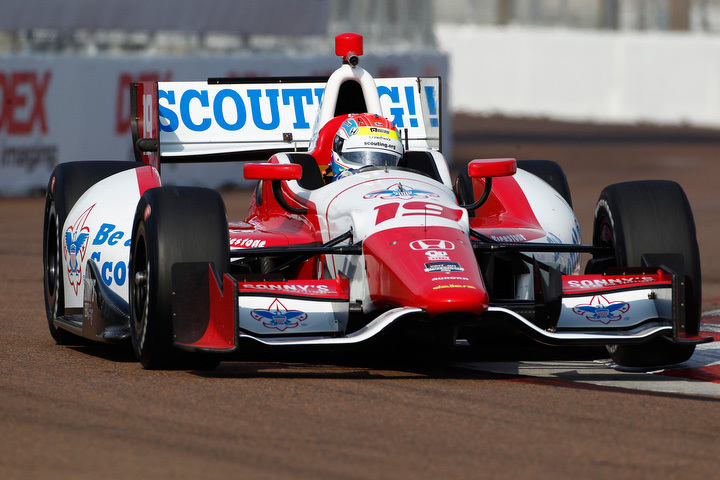 St. Petersburg, Fla. (25 March 2014) – Justin Wilson returns to Verizon IndyCar Series action this weekend in Dale Coyne Racing’s No. 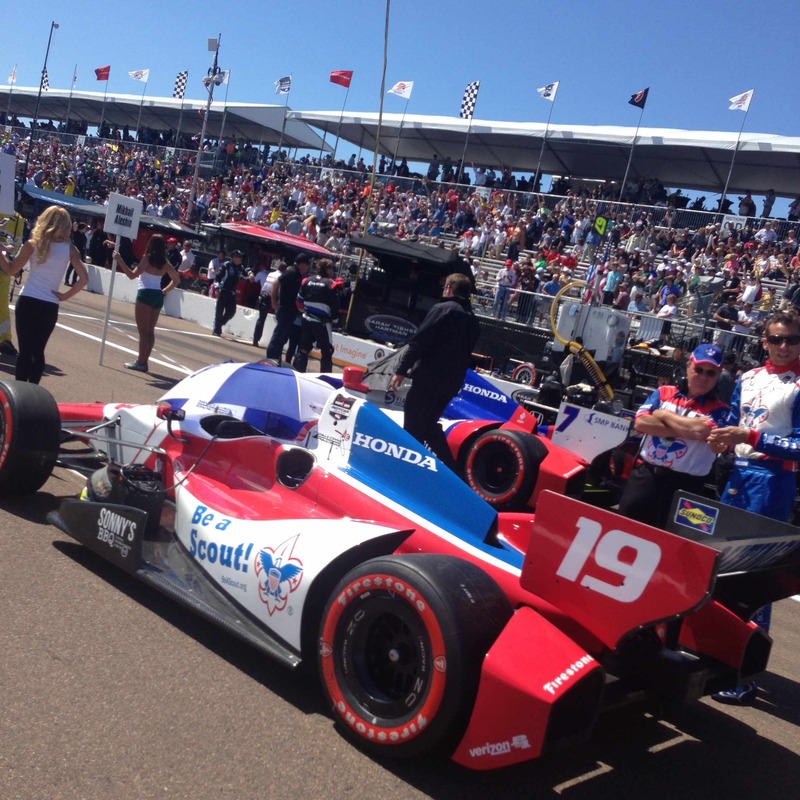 19 Boy Scouts of America Honda as the 2014 IndyCar championship opens with the Firestone Grand Prix of St. Petersburg on Sunday. 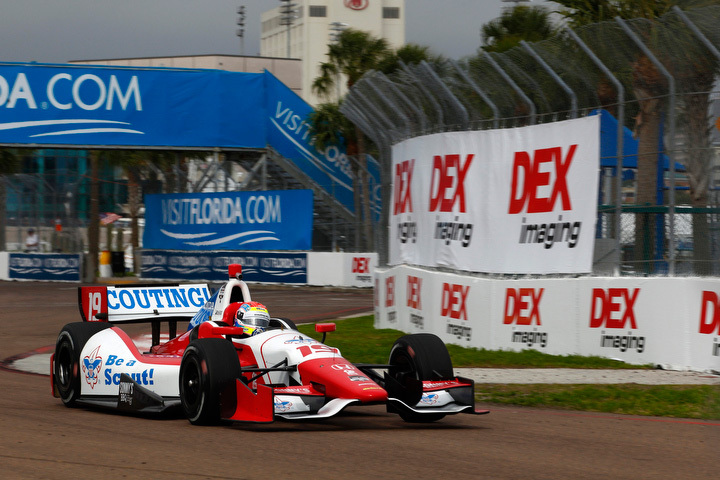 The 18-mile, 14-turn circuit incorporates the streets of downtown St. Petersburg as well as a section of runway at Albert Whitted Airport and is the first stop on the 18-race IndyCar schedule. Pataskala, Ohio (13 February 2014) – Michael Shank Racing with Curb/Agajanian will bring a set of familiar and fast faces when the team makes its debut competition appearance at Sebring International Raceway next month, as Justin Wilson will return to race with the squad alongside full season pilots John Pew and Ozz Negri in the Mobil 1 12 Hours of Sebring on March 15. 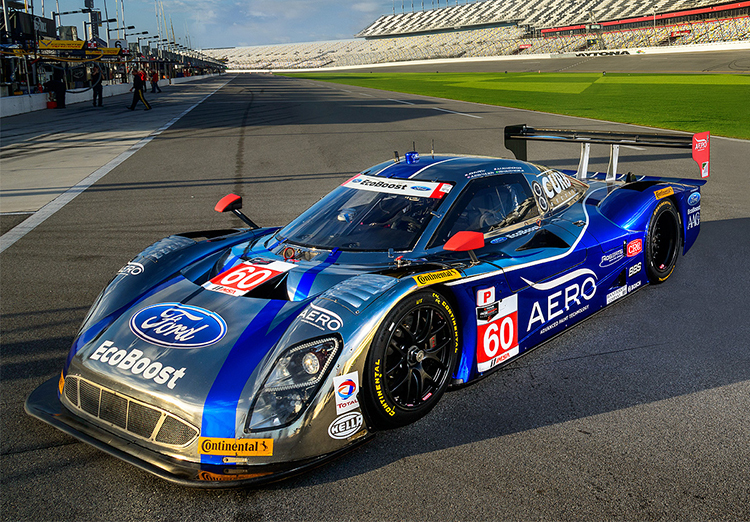 Justin and Michael Shank Racing were hoping to match their 2012 race-winning result with victory in this weekend’s Rolex 24 At Daytona, but the #60 Michael Shank Racing with Curb/Agajanian Ford EcoBoost Riley suffered a mechanical setback overnight during the opening race of the new IMSA TUDOR United SportsCar Championship. 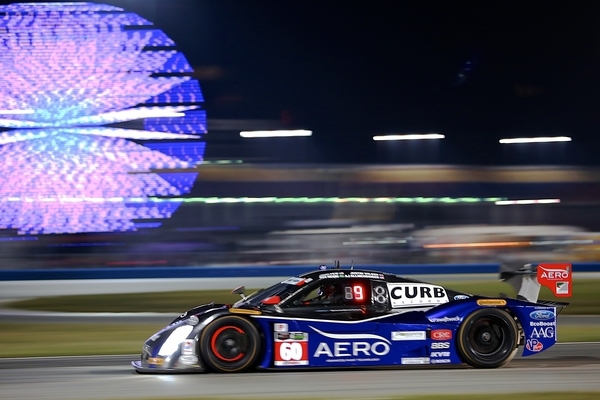 Justin will rejoin Michael Shank Racing with Curb/Agajanian for this weekend’s Rolex 24 At Daytona as he joins full season drivers Ozz Negri and John Pew and NASCAR pilot AJ Allmendinger in their quest for a second victory in the prestigious sportscar race.